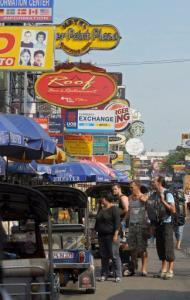 Thailand's high season for tourism has just begun, but the signs for many in the industry are worrying. 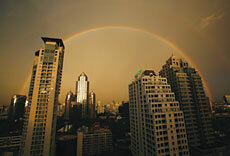 Experts are blaming higher fuel costs, global economic problems and political unrest in Bangkok. In September, arrivals at Bangkok's main airport were down 21 percent, and industry experts say numbers are expected to remain low as the global credit crunch prompts consumers worried about their jobs and mortgages to stay at home. Meanwhile, the Tourism Authority of Thailand is trying to entice tourists from Southeast Asian markets like Singapore and Malaysia, which have so far managed to avoid any serious impact from the global financial woes. By the end of this year, frequent travelers to and from Thailand will be able to bypass the often large queues at immigration and waltz through with the swipe of a card. The new immigration card is expected to be issued around the end of this year to coincide with the high tourist season. Those who travel in and out of Thailand at least three to five times a year, regardless of their nationality, will qualify for the new immigration card. The Immigration Police will also open a brand new call center early in 2009 that will provide information for international travelers in eight languages.